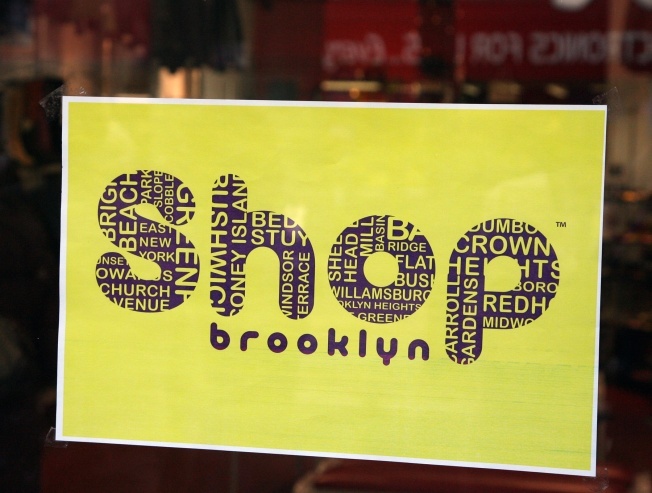 Participating retailers will be displaying a "Shop Brooklyn" sign in their windows. That's the question Brooklyn borough President Marty Markowitz wants you to ask today as part of "Shop Brooklyn," an ambitious renaming of Black Friday to get residents and tourists alike to shop local. Participating Fulton Street Mall businesses will be proudly displaying a "Shop Brooklyn" sticker, identifying which stores have the deals, as will numbers of other shops all around the borough. This is one of those reintroducing-your-city-to-yourself things again, as Markowitz, along with the Brooklyn Chamber of Commerce, Brooklyn Economic Development Corporation, local Business Improvement Districts (BIDs), elected officials and others hope the benefits will carry on long past the holidays. The "Brooklyn Bonuses", as the discounts are called, will last each weekend from Nov. 23 through Dec. 21, starting today on Black Friday and continuing on towards a white Christmas. The announcement ran across a number of local sites throughout the last couple of days. Brownstoner announced the idea and then reminded readers that The Flea is still open every Sunday in December. Only The Blog Knows Brooklyn said Markowitz is making is announcement today "with a noontime 'Shop Brooklyn' visit to The Spa & Wellness Center/Green Spa New York in Bay Ridge." Gowanus Lounge noted that it was previously to be called "Buy Brooklyn". And finally, The Cool Jew has some shots of people lining up outside the Brooklyn Best Buy at 4am. For a full list of participating retailers, visit ishopbrooklyn.com.